[PDF] Word by Word Picture Dictionary | Free eBooks Download - EBOOKEE! Description: The Word by Word Vocabulary Development Program presents vocabulary through full-color illustrations and an outstanding array of support materials. 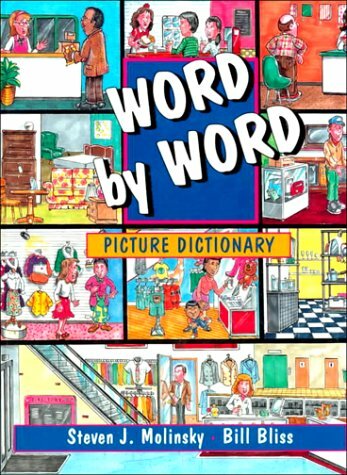 The unique conversational approach of the Word by Word Picture Dictionary gives students communication practice with every word and provides the key vocabulary students need to know in a wide range of relevant topics and situations. feature the translations printed next to the English words for both in-class and self-study use. Available in Chinese, Haitian Kreyol, Japanese, Korean, Portuguese, Russian, Spanish, and Vietnamese. No comments for "[PDF] Word by Word Picture Dictionary".